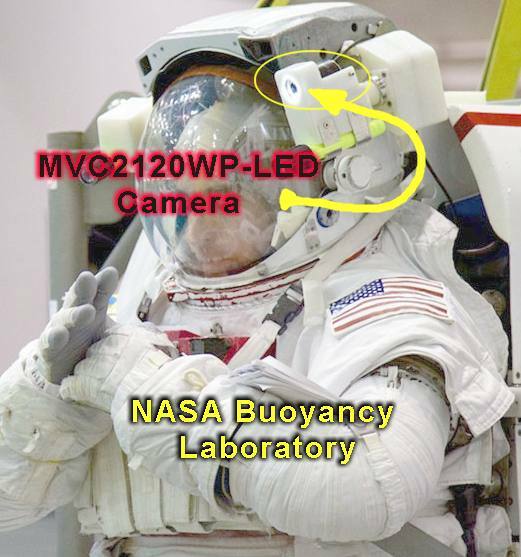 In typical remote viewing applications, several key factors determine whether the task can be accomplished and what cameras can be used. Usually there are space and access constraints and often there are difficult environmental conditions like temperature, radiation levels, humidity, and other severe conditions. The MVC-2120WP-LED is often a perfect solution for such applications. 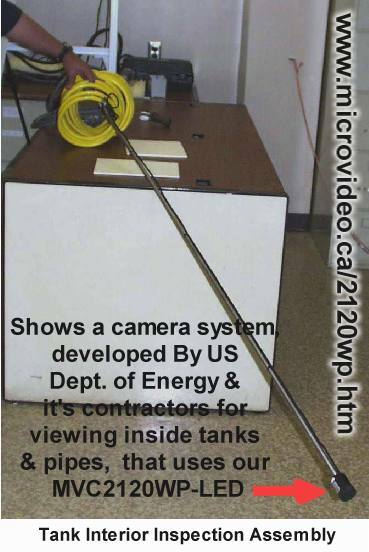 The ruggedized borescope camera diameter approximately 35mm. 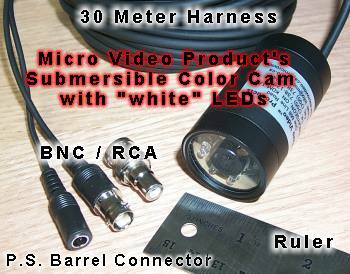 This special Micro Video Products camera can be used in many industrial inspection technology applications. The camera features very low light sensitive color cameras with illumination capable of conducting inspections in total darkness. These units can be attached to any gooseneck or articulating pole. 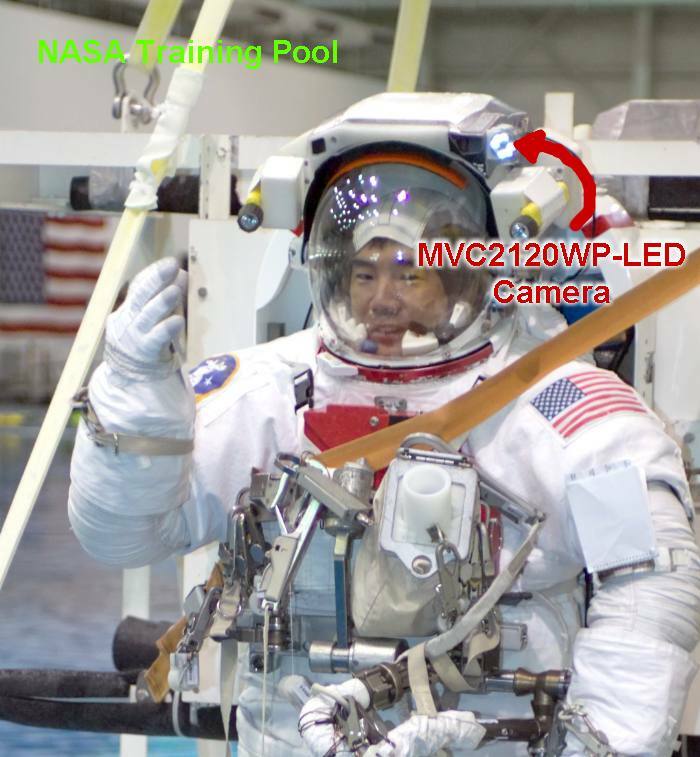 Special camera technologies like this allow fabulous inspection capabilities. You can use a portable or stationary monitor separate from the camera and pole for viewing at a safe distance. These pole camera systems facilitate inspection of entangled wiring or components, help in the remote repair of failure in machinery or failures in dangerous areas , and allow visual assessment of difficult to access areas where space or danger are a factor. Because it is sealed, it is perfect for everything from basic saltwater applications to nuclear fuel pool inspections. Shutter/Exposure: Automatically selected, 1/60 - 1/100,000 sec. Supplied Voltage: 9 - 12 volts @ 110 ma.